It seems like today there is an app for everything. A user friendly, fast, and engaging application is what gets people’s attention. If your mobile or web app architecture is from way back in the day, it might be time for some modernization. Incorporating the latest technologies helps an app keep up with changing user expectations. Using the latest technologies also makes an app easier to maintain. If you’ve been using the same app architecture for over 3 years, it’s probably time to make some changes. In the software world of the past apps were generally designed without change in mind. Applications developed using the Model-View-Controller (MVC) or Model-View-Presenter (MVP) pattern are slowly becoming outdated. 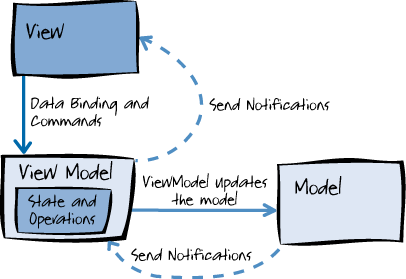 The mobile app ecosystem is gravitating towards more event-driven paradigms like the Model-View-ViewModel (MVVM) pattern. Its intent is to provide a clean separation of concerns between the user interface controls and their logic. A clean separation between application logic and the UI will make an application easier to test, maintain, and evolve. It also removes change resistant code, eliminating long-term maintenance issues. Each core component of the MVVM pattern serves a distinct role. The diagram below showcases the relationship between the three components. Decoupling these components enables the components to be re-written independently, they can be worked on separately, and it enables unit testing. MVVM enables a great developer-designer workflow. To a certain extent, during the development process the developer and designer can simultaneously work on their components. Once the overarching behaviors are defined, the designer can focus on the view while the developer works on the view model and model components. The designer can make iterations to minor features such as button types and color themes while the dev team runs unit tests on the other components. Redesigning the UI is simple and any changes made to the view will still be compatible with the existing view model. The presentation layer and the logic is loosely coupled. Using the MVVM pattern enables developers to remain agile and continue to move onto new releases quickly. Software Development Kits (SDK’s) serve as the workshop for developing all applications. Over the past 5 years there has been a rapid advancement in SDK’s and a noteworthy growth in device capabilities. SDK’s are designed to improve mobile app experiences and incorporating them into your mobile app architecture is essential for keeping up with user expectations. For simplicity and to keep this post short, here are some of the latest and most impacting iOS SDK’s. Google and Android usually have an equivalent, but we’ll save those for another time. This framework enables developers to integrate the iOS device camera and motion features to produce augmented reality (AR) experiences in an app or game. For example, Pokémon GO! If you weren’t playing it, you probably heard of it. 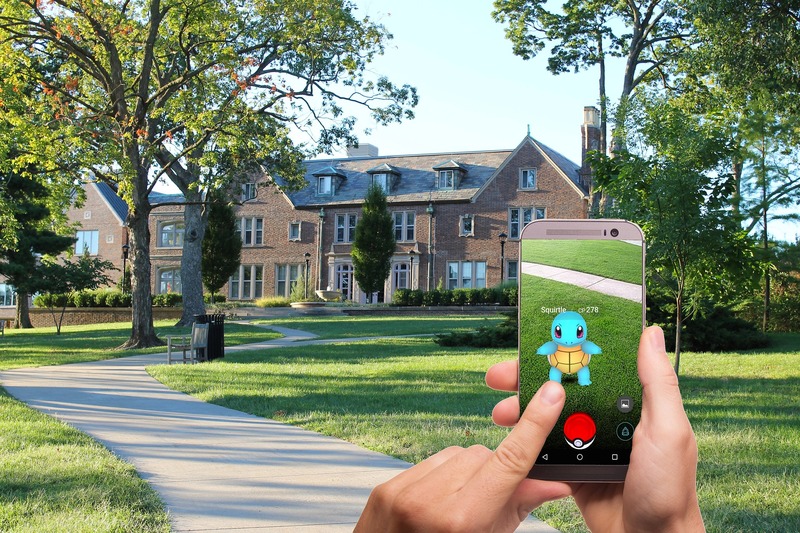 The app integrated AR to produce an immersing experience that was hard to let go of. HomeKit integrates iOS, tvOS, and watchOS devices with home automation accessories. This allows users to communicate with, configure, and control home automation accessories. You can now ask Siri to turn your living room lights on and off. Isn’t that convenient! This update handles user requests for your app’s services that originate from Siri or Maps. The SiriKit encompasses the Intents and Intents UI frameworks. It’s what allows users to ask Siri to call them an Uber or send a message. The rapid evolution of software is what enables iOS app development to continue growing exponentially better. Mobile app experiences are beginning to overtake the internet. An increase in devices raw computing power and additional features, such as touch ID and Face ID are changing the way users interact with their mobile devices. These continuous improvements urge software development companies to design more elaborate app architectures.